I'm back with another really fun review. I can't wait to tell you about my relaxing afternoon at the Spa! 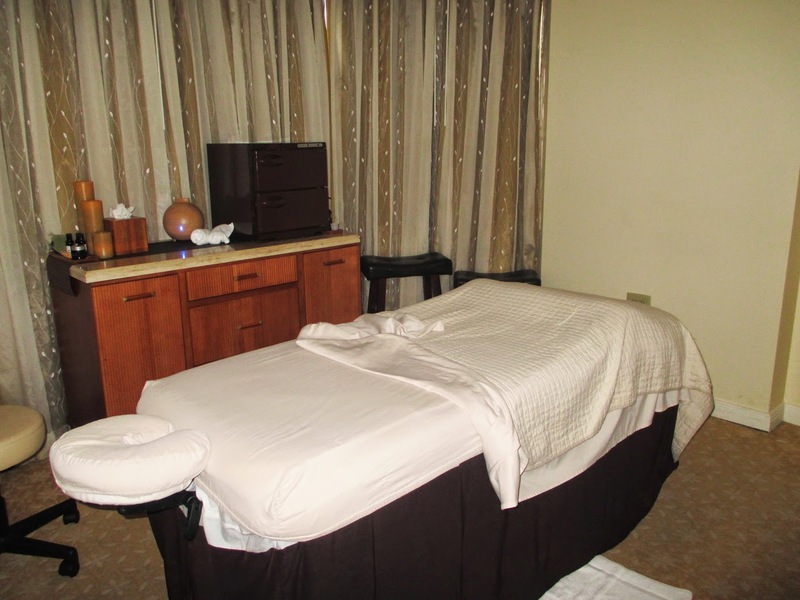 Recently I had a chance to test out an amazing massage from the Ritz Carlton Buckhead. Best yet, they have some super discounted offers coming up. Check it out! I've had a pretty stressful last few weeks so this review came right in time! Better yet, the Ritz Carlton Buckhead location is 7 minutes away from me so it was a great local treat. I had 3 options to pick from: a massage, facial or mani/pedi. I went with the massage! I know that the Ritz Carlton is known for exceptional service and I experienced that as soon as I came through the front doors. An attendant greeted me and escorted me to the elevator up to the floor where the Spa was located. 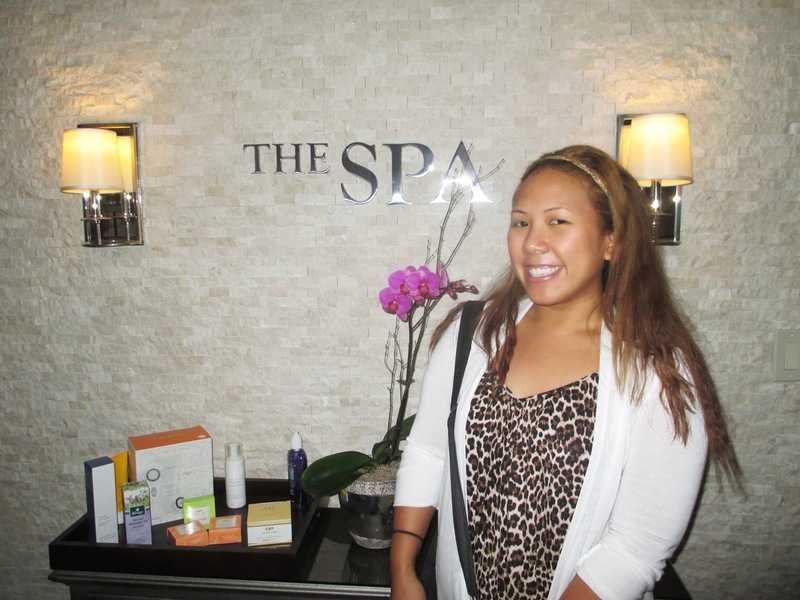 Alla, the desk attendant at the spa was lovely and very accommodating. 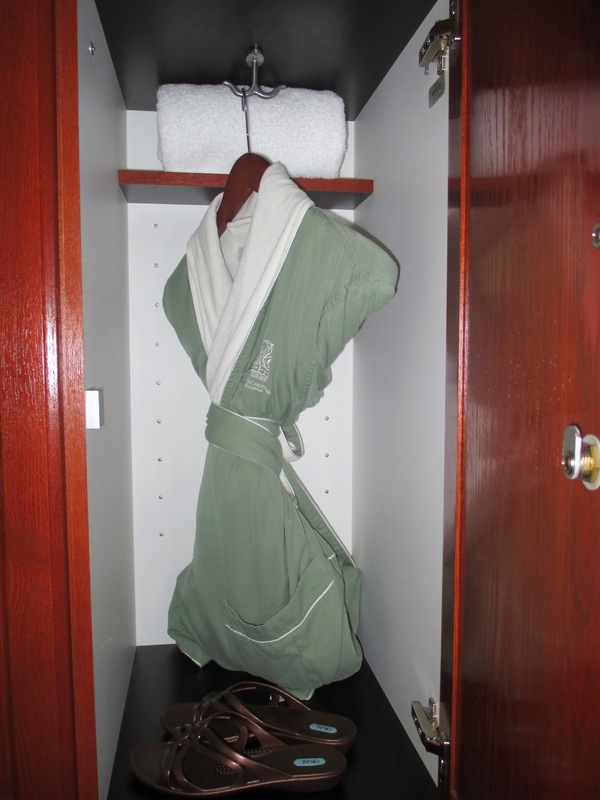 My first step was to go to the locker room and change into a luxurious robe and comfy slippers. 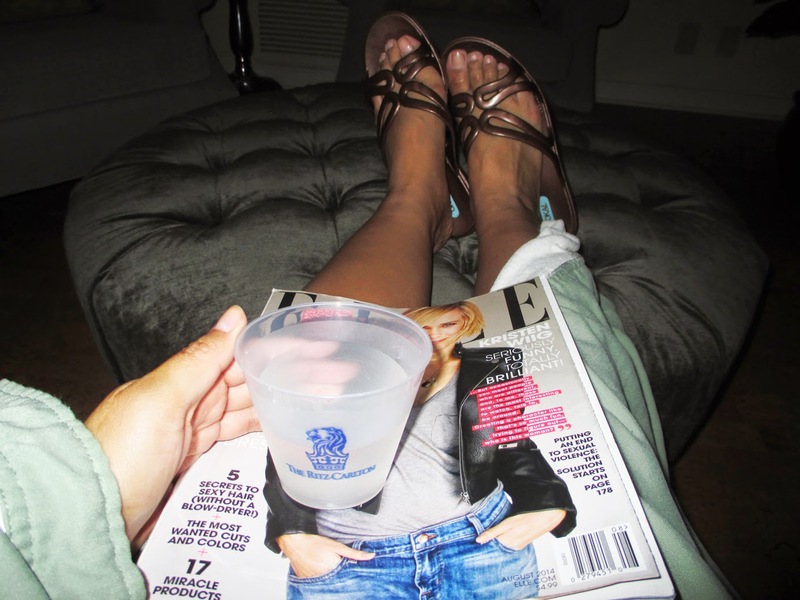 Next I was escorted to the lounge where I could drink, snack and relax until I was ready for my treatment. I absolutely loved their lemon and cucumber infused water and chocolate covered nuts, yum! You also had a choice of wine, champagne and a wide variety of teas. I definitely took advantage of the posh sitting room to kick my feet up and relax. I was greeted by my masseuse Dawn, who was so down to earth and friendly; she definitely made me feel welcome. Unlike other spas I've been too, I was allowed to choose the scented massage oil that she would apply. They all smelled fantastic but I chose a French Lavender that was supposed to aid with relaxation. I enjoyed all 50 minutes of my relaxing massage. Dawn was very gentle yet had a firm touch to get into my sore spots. I felt like there were so many extras thrown into the package such as warm, dampened towels placed over your body to soothe and warm you. There was also a scented, beaded pillow placed over my sore area - my shoulders which felt amazing. There was even a scalp and face massage which was absolute bliss. It was a very thorough 50 minute massage and I left feeling like I was walking on clouds. 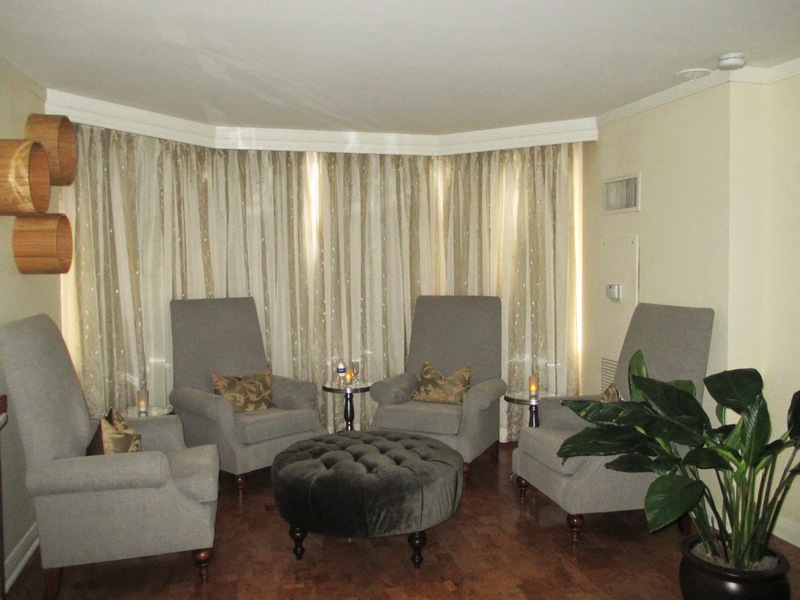 The staff made you feel at home, the massage was such a treat, and it was a very easy process. This is me post-massage, you can definitely tell by my cheesy grin that I loved it! Guess what? Spa Week is coming up and you can get this amazing deal and other treatments such as a deep cleaning facial for just $50! To me that is such a steal especially at a luxury hotel like the Ritz. The treatments value anywhere from $100-$500. You can book now before all the spots fill up. 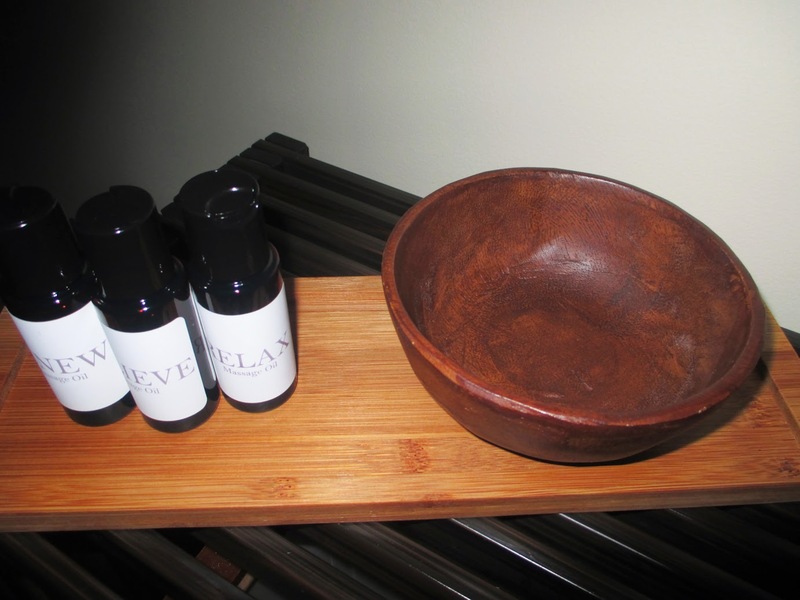 How awesome would this be as a present to your significant other or to book a spa day with your girlfriends? 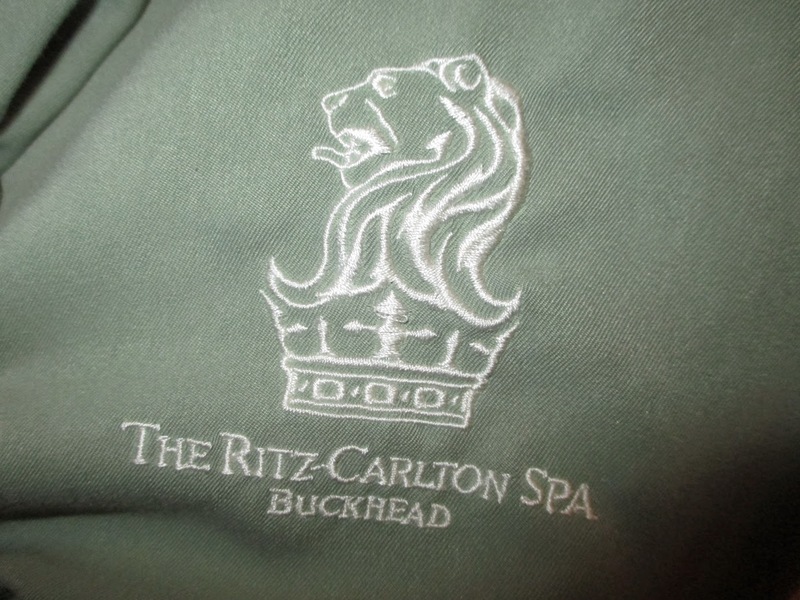 For my Atlanta readers, you can book your Ritz Carlton Buckhead Spa Week treatment here. For anyone else in the U.S., check out www.spaweek.com to book amazing deals in your city.